- The effective, safe, and science-proven alternative to glasses, contacts and laser surgery. Is your vision getting blurry? Are you mad with the hassle of glasses and contact lens? Are you worried about the stronger and stronger prescription as your child's nearsightedness gets worse and worse? The OO Eye Exerciser is designed and patented by notable scientists and manufactured by a global high-tech company. It has been subjected to intensive clinic tests and proved effective. The OO Eye Exerciser is the only device that relaxes your fatigue and stressed eyes. And it could be the only chance for your child to get rid of glasses or contact lens without laser surgery! Start Improving Your Vision Today and Give a Chance to Your Kids to Get Rid of Glasses or Contact Lens - for good! How the OO Eye Exerciser Can Help You and Your Kids to Improve Vision? 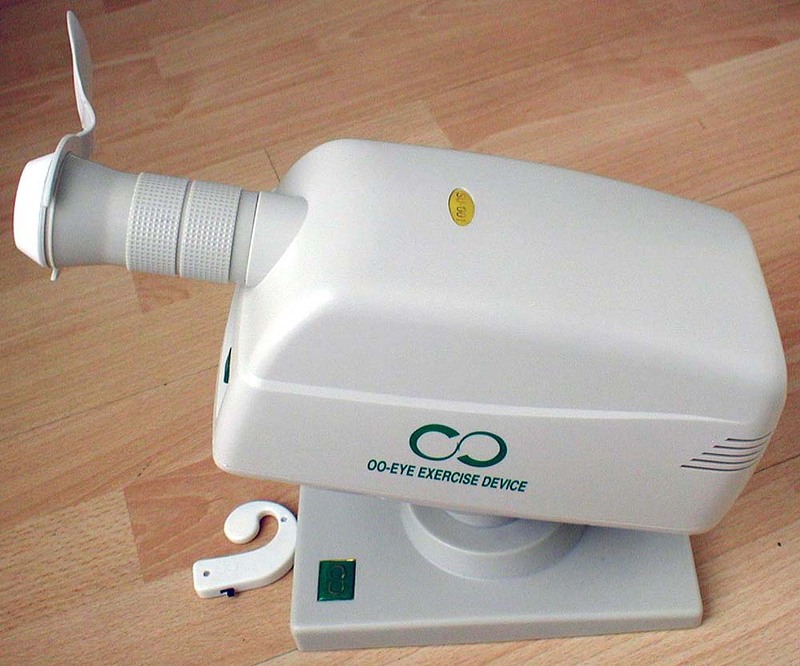 How to use the OO Eye Exerciser - User' Manual and Recommended Procedures? Get started and Say Bye-Bye to glasses and contact lens! Price $339.00, plus $25.99 shipping with Full Insurance in the United States lower 48 states.